This is the best preaching segment C3 could find on Phil Pringle? 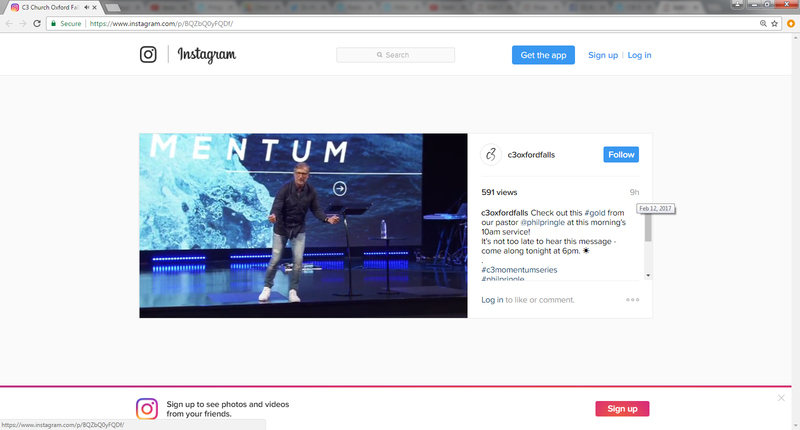 Home › C3 Church › This is the best preaching segment C3 could find on Phil Pringle? Check out this #gold from our pastor @philpringle at this morning’s 10am service! In other words, the god of C3 can only move when someone moves. This god is not our God. It’s an idol, an idol that’s deaf, mute, pathetic and weak. Some would even say Phil Pringle is limiting God and ‘putting God in a box’ in saying what’s said in the clip. Our God is all powerful, all knowing and all present. This isn’t the God the leader of C3 is presenting. When the lepers arrived at the Syrian camp – there was no one there. There’s no mention of the Lord using the sound of the lepers walking to cause the Syrians to flee. The Lord has caused the Syrians to hear the sound of chariots and horses, the sound of a great army. Once again we see an unqualified man reading into the text (eisegesis) what is not there. And where in these verses do we see God waiting for a man to move? Who is the “mover” in these verses? It’s quite revealing for C3 to promote a preaching segment that exposes their pastor as someone who expects his congregation’s bibles to be in total agreement with his random, unbibical thought patterns scribbled in whatever version of the bible he decides to use on the day. ‹ Sexual Predator Clayton Jennings hides behind his DNFC followers.